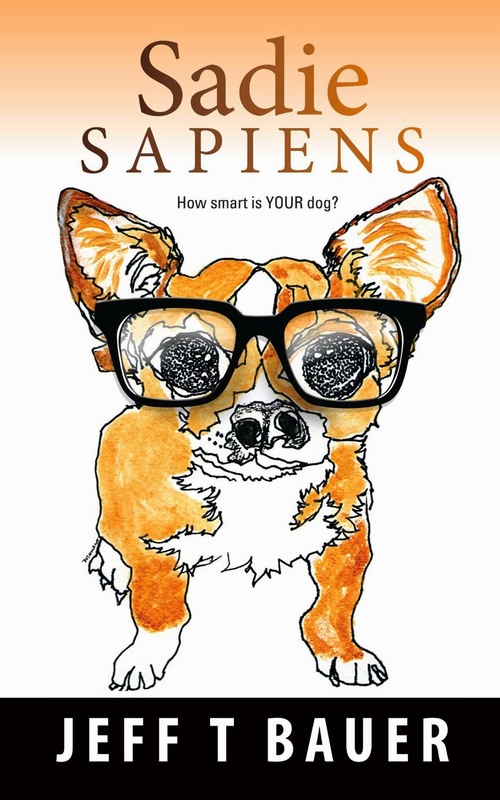 "A powerful examination of the dog-human relationship." "A special dog gives us insight into the human condition. Sadie Sapiens is written for young adult readers , but even adults will enjoy and be moved by this story. Bauer is a writer skilled in crafting larger themes - love and forgiveness, fear and courage, cruelty and sacrifice- within a a seemingly simple package, in this case a tiny Chihuahua puppy named Sadie. Like the novel, Sadie proves to be more than meets the eye, by learning to communicate with Emma, her human. Through this, Bauer makes us question the nature of sentience, and the way humans treat other forms of life on this planet." "Loved it! I always thought that human-kind's first contact with an intelligent species would be with a greenish grey alien race who had traveled millions of miles just to meet us (or destroy us). Nope, now I know its with a Chihuahua - what a great idea! Sadie Sapiens is a wonderful feel good book for all ages, and I can't wait to see where the story goes from here."